Chamberlin Real Estate School to offer you a home-study program that will prepare you for the California real estate licensing exam. 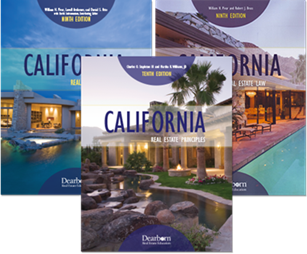 This California Bureau of Real Estate approved program includes a reading assignment (online or textbook), chapter homework assignments, and on-line final examinations. This combination of reading on-line assignments, and LIVE 2-day weekend crash course has proven to be a superior method of preparing to pass the state salesperson examination. An applicant for the real estate salesperson examination must show proof of three courses prior to the state exam. Real Estate Principles, Real Estate Practice, and one other course from the following list will be required. 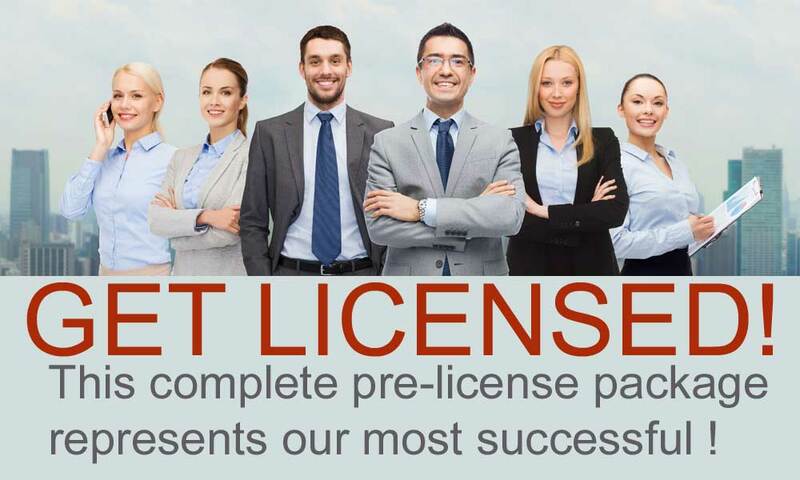 A real estate license is required of individuals who are to be employed as salespersons under the control and supervision of a licensed broker. A license may be obtained by a person who does not immediately intend to be employed by a broker. However, in this instance, no real estate activity may be performed. The license authorizes real estate activity only if the salesperson is in the employ of a licensed broker. It does not authorize the salesperson to act as an independent agent. One set of classifiable electronic fingerprints and a fingerprint processing fee are required from every license applicant. Original license applicants who reside in California will pay a $49 fingerprint processing fee directly to the live scan fingerprint service provider. All three pre-license courses are required by the California Bureau of Real Estate before you can apply for the state exam. 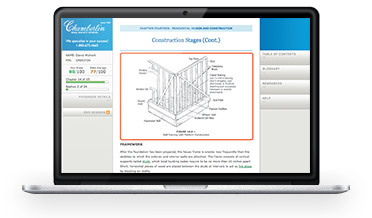 They are designed to give you a basic understanding of the necessary subjects and a foundation of real estate terminology. Once you have successfully completed all three required courses, it is time to apply for the state exam by mailing the Combined Salesperson Examination Application (RE 435A) and Fingerprint Live Scan Service Request (RE 237) to CalBRE along with proof of completion of the required courses and the $305 total (License fee: $245 + Exam fee: $60). If you enroll in our complete pre-license package, you will receive both written and online practice tests for the state exam. This is the most important phase of your studying. Now that you have a foundation of knowledge from the pre-license courses, you will now study the subject matter in more detail by looking at sample state exam questions. Your goal is to take and retake these sample exams until you are scoring 90% or better (on each practice test) before taking the actual state examination. Concentrate on learning the subjects rather than memorizing the questions. This Live 2-Day Weekend Crash Course is specifically designed to help you pass the state examination. It is to be taken the weekend before your state exam test date. If you enrolled in our complete pre-license package, you have prepaid for the weekend crash course. Call us to talk about scheduling the crash course before you send your application to the California Bureau of Real Estate. The California Bureau of Real Estate allows a course to be completed in a minimum time of 2 ½ weeks PER COURSE (18 calendar days) per course from the date you receive your material. The maximum time is one year from the date of enrollment. Completion means passing each course final examination. Once you have successfully completed all three course final exams, we will send you an official Course Completion Certificate. From the day you mail your application to the CalBRE, it usually takes 4 to 6 weeks to get a state exam test date. 4. Receive license immediately upon passing if you submitted the combined application. Total: Approximately 12-14 weeks. This is only an estimate and represents the fastest possible time frame. Of course you may progress at your own pace.